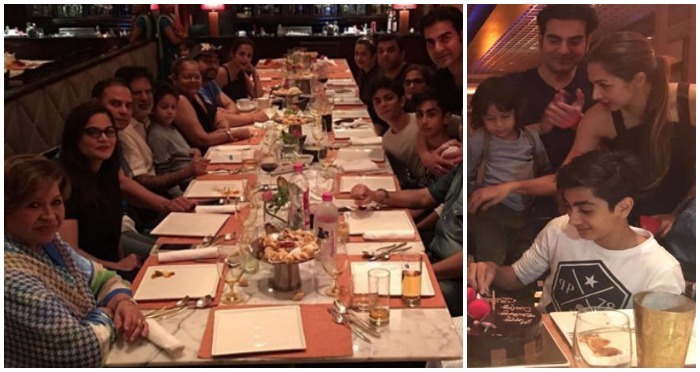 Estranged couple Malaika Arora Khan and Arbaaz Khan dined together with entire Khan family at a restaurant in Mumbai on their son Arhaan’s 14th birthday. Malaika and Arbaaz, who called it quits earlier this year, were seen in all smiles and happy together at their son’s dinner party. The entire Khan family excluding Salman Khan was seen dining together after a long time. 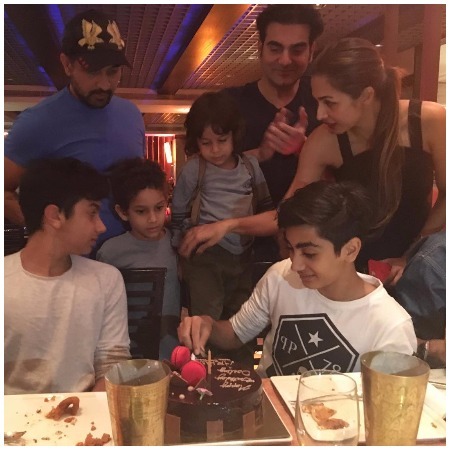 Malaika’s sister Amrita Arora Khan shared some adorable pictures from Arhaan’s birthday party. One can see in the picture, Arbaaz, and Malaika standing together as Arhaan cuts the cake along with Amrita’s kids. 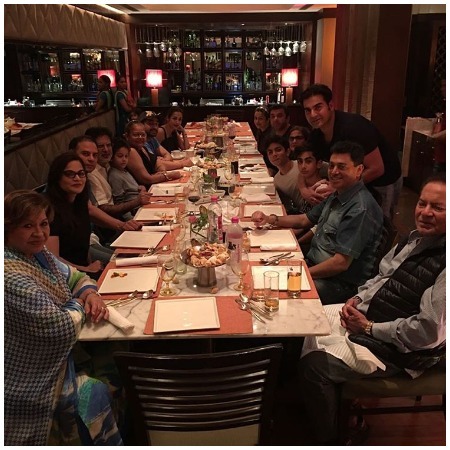 Amrita posted another picture where the entire Khan-daan including Salim Khan, Helen, Salman’s sister Alvira with husband Atul Agnihotri, brother Sohail, and mother Salma are seen together. Here’s another adorable and the most lovely picture of Malaika kissing Arpita’s son, Ahil. Earlier this year, Arbaaz and Malaika had issued a statement about their separation. The two have parted ways for reasons best known to them and are currently leaving separately. Moreover, it is amazing to see how their family and kids keep them bonded together.